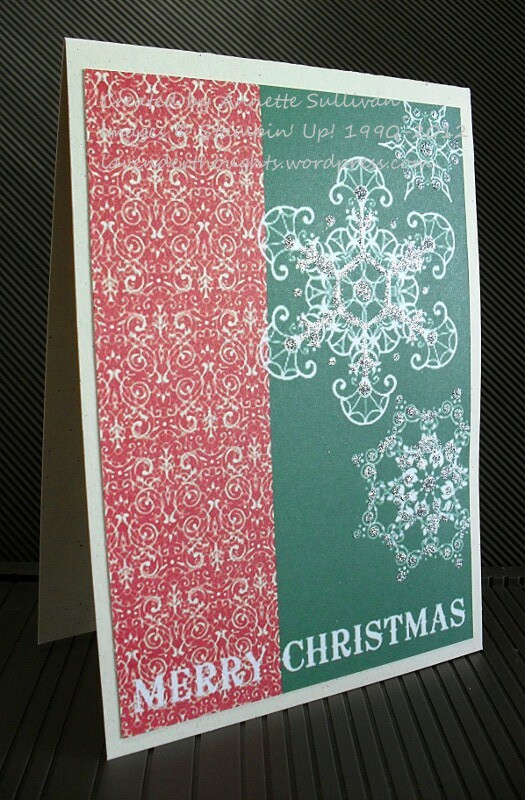 This hybrid Christmas card uses images from the Snowflake Soiree Stamp Brush Set, a sentiment from Owl Occasions, and DSP from Candlelight Christmas – all from the Remember December Digital Collection disc. The panel was printed on Whisper White and then layered onto a Naturals Ivory base. Parts of the snowflakes were highlighted with Dazzling Details Silver Sparkle – a bit difficult to see in the photo but very sparkly IRL.